Community & Stormwater Management | GeoForm International Inc. Submersible pumps play a critical role in the mitigation of damage caused by storm-related flooding. 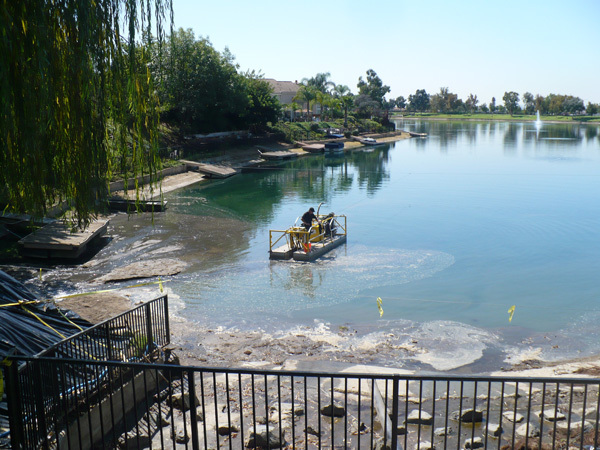 Municipalities also rely on sediment removal equipment for cleaning and shaping ponds and waterways within their local communities. GeoForm International is your one-stop headquarters for high-quality sediment removal systems and pumps that can meet the community and stormwater management needs of municipalities across the United States and around the world. 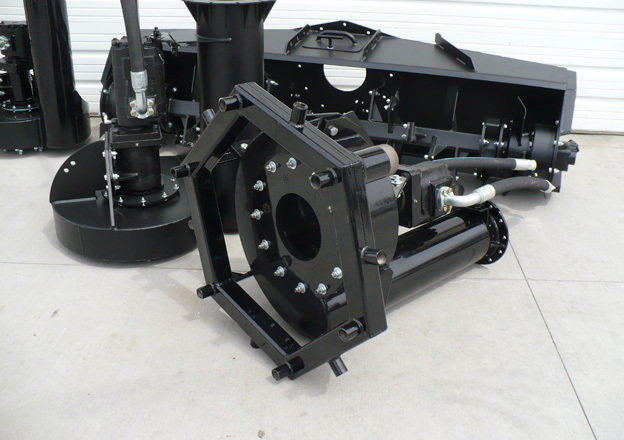 Our Dino6 is a compact, lightweight, versatile sediment removal system that’s ideally suited for stormwater management-related applications such as detension, pond and culvert maintenance and canal dredging. Designed for easy mobilization, launching and recovery, the Dino6 will save time and increase productivity for your most challenging stormwater management tasks. It also features stainless-steel pontoons that resist corrosion and provide a longer lifespan than carbon steel pontoons. 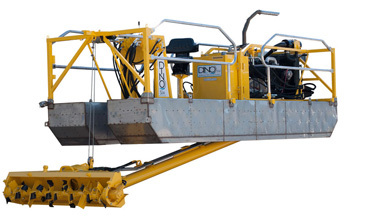 The Dino6 can remove sand, sediment, vegetation and debris from stormwater storage and retention ponds and structures. You can also use it to restore your stormwater system to its original design quickly and efficiently, ensuring you’ll be fully prepared for every storm season. Our submersible pumps for stormwater applications can handle high volumes of water and viscous materials. These lightweight, rugged pumps feature innovated hydraulics that enables them to pass trash and debris with ease. In addition to storm and floodwater pumping, our submersible pumps can also deliver reliable performance for water transfer, sewage by-pass and hand dredging applications. We offer pumps in 6”, 8” and 10” sizes with max flows ranging from 1600 to 3500 gpm. The Dino6 can also meet your tube dewatering needs. Simply place your dewatering tubes around the perimeter of your stormwater retention pond or storage area and use the powerful dredging system to dewater the sediment as it is removed from the water body. 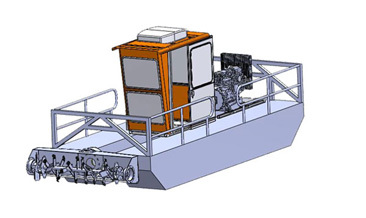 This offers a practical, efficient method for smaller sediment removal and dewatering jobs. Why Choose GeoForm International for Your Community and Stormwater Management Needs? GeoForm International is proud to be an American company that manufactures all sediment removal systems and pumps for stormwater applications in-house. This enables us to closely monitor and tightly control every aspect of the production process, ensuring the highest possible quality. We also operate our own machine shop to fabricate the materials we use to manufacture our products. What’s more, our service department is available to provide prompt, reliable assistance whenever you need it — we want you to be totally satisfied with every product you purchase from us. 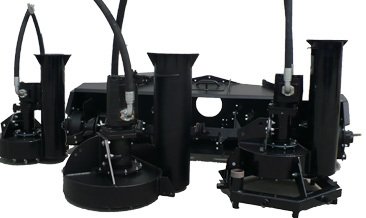 Contact us to learn more about our sediment removal systems and pumps for municipalities/stormwater management today.